I am such a sauce girl…and a saucy girl if you must know. But seriously, I truly believe that sauces can make or break a meal. 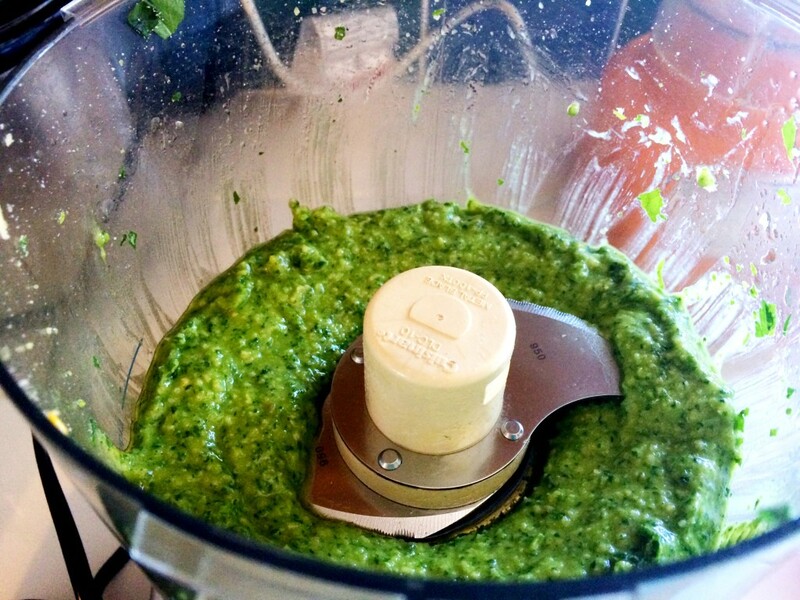 Fresh pesto is one thing I always have on hand because it’s so versatile. I use it in scrambled and on fried eggs, in pasta, on wraps, I dip my roasted cauliflower in it, I put it on salmon & burgers and the list goes on. It also gets tastier by the day…so try to get in the habit of making this on Sunday’s so you can have it ready for the week to give your meals that extra umph they so deserve. Your mouth will thank you. 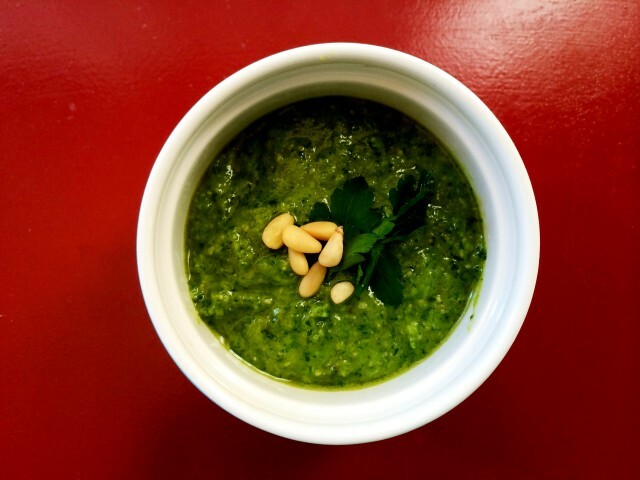 In a food processor, combine herbs & nuts and pulse a few times. Add the garlic and cheese and pulse a few more times. 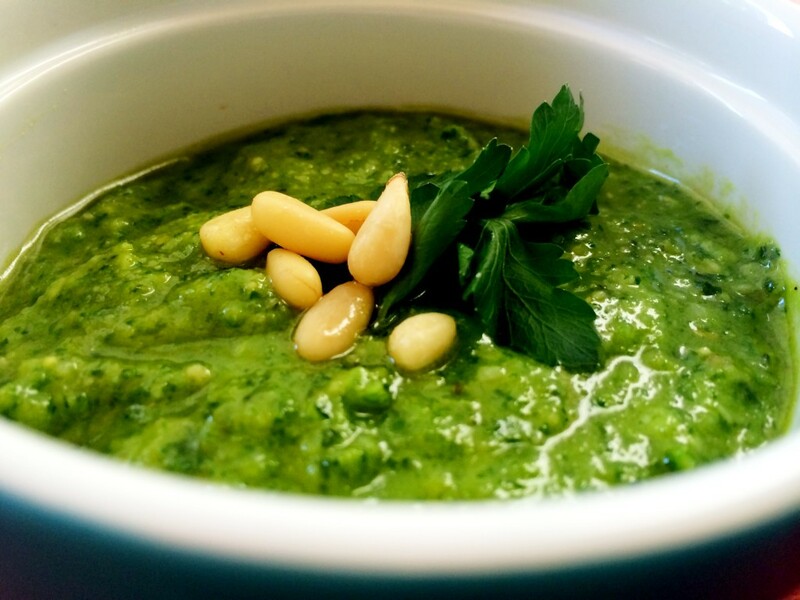 Slowly add the olive oil in a constant, steady stream while the food processor is still on. Stop to scrape the sides with a spatula to make sure you have everything mixed together. Add salt and pepper to taste and mix for a few seconds longer. That’s it! I promise this will be a kitchen game changer.